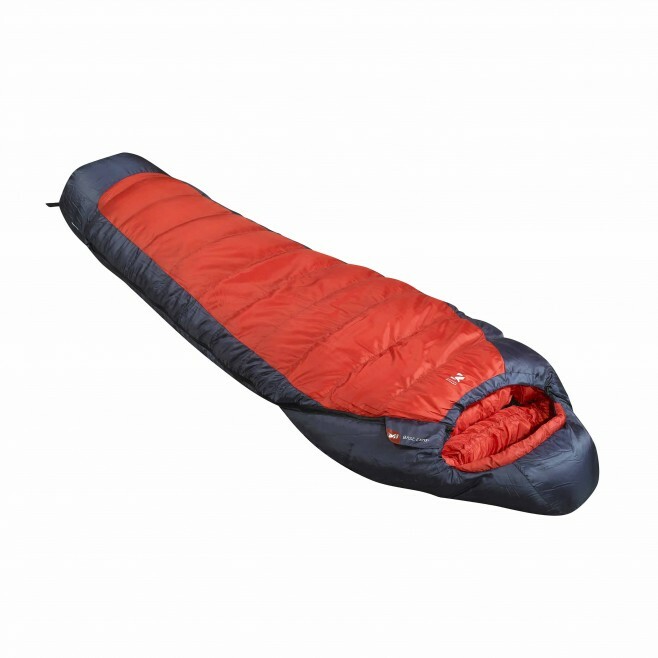 This four-season all-down sleeping bag is recommended for mountain bivy enthusiasts, at mid altitude in winter or in the high mountains in summer. The BASE CAMP is the right choice when you need a ver satile bag for all your favorite activities, from hiking to mountaineering. When you need something compact and light. The Base Camp offers all the advantages of down. An unrivaled lightness-to-warmth ratio. The most heat, weight for weight. Very good compressibility, but the down regains its volume. And in the insulation game, volume is key. ""Loft lets you trap the most possible air,"" explains Antoine, product manager. And that's a good thing: ultimately, air is what protects us from the cold!